A couple of weeks ago we visited Banham Zoo. It was our first proper family outing after my C-section, so we decided to take the opportunity to properly test out the BabyStyle Hybrid Stroller in tandem mode. 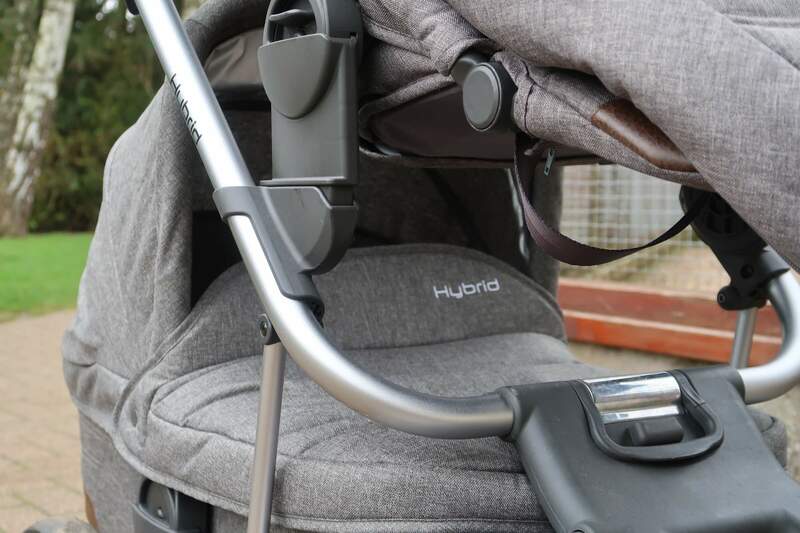 We were lucky enough to get our hands on the Hybrid Stroller when it first came out, and I reviewed both the Hybrid Edge Stroller and the Hybrid City Stroller at the time. Well, now it’s time for my Hybrid Tandem Stroller review! There’s so much that we genuinely love about the Hybrid Tandem Stroller. For a start, it’s lightweight compared to other prams we’ve used. This has been invaluable to me in the weeks following my caesarean, as I shouldn’t really be doing anything too strenuous. 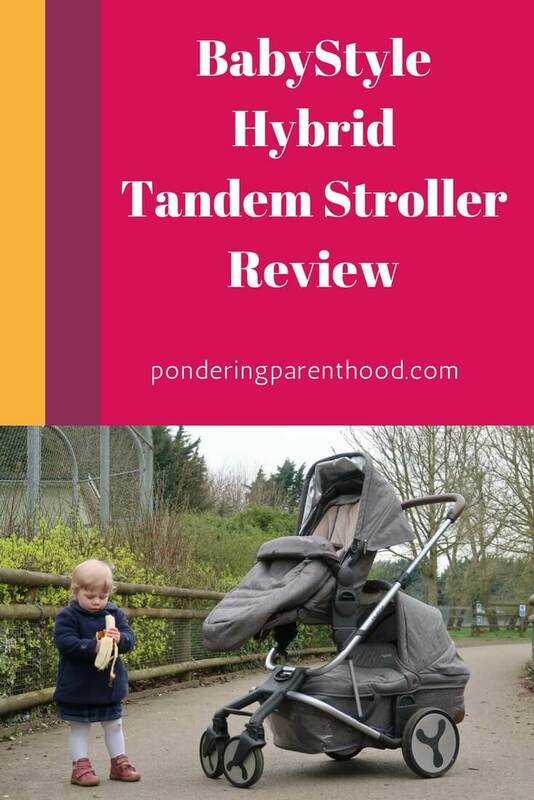 The Hybrid Tandem stroller has a really smooth push and is very manoeuvrable, so over-exertion has been one less thing for me to worry about! 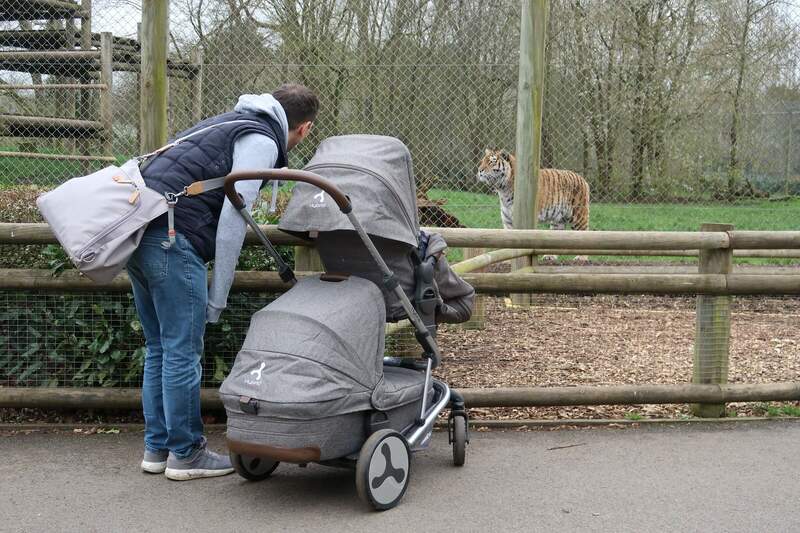 The carrycot, or bassinet, on the Hybrid Stroller is quite long, so when it’s in position on the bottom of the Hybrid Tandem Stroller, it does stick out quite a long way and I was concerned that I might end up kicking it as I walk. However, this is rectified by the brilliant multi-position, adjustable handle bar. This means that when it’s on the highest setting, I can walk freely and easily and my feet are nowhere near the carrycot. I’ve also found that when we go into restaurants, I can move the handle bar on to the lowest setting, which means it can fit easily next to the table so that I can keep an eye on the baby while I’m eating. While I don’t think any double pushchair could ever be described as compact, this definitely does make it take up much less space. I think this makes it my favourite feature! 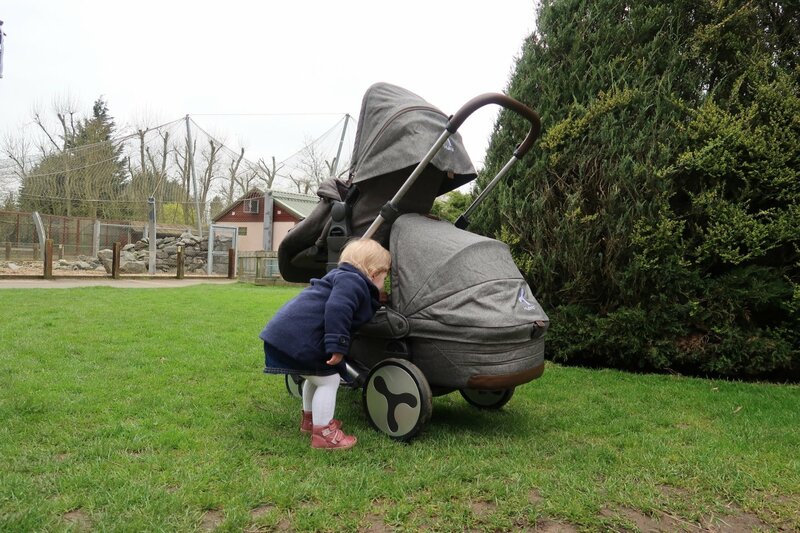 The height adaptors on the Hybrid Tandem Stroller provide more space to get the baby in and out of the carrycot – something that I must admit isn’t the easiest thing to do, but the hood on the carrycot is easily adjustable and you soon get to know the best way to approach the carrycot to retrieve the baby! These same height adaptors mean that the toddler seat is the perfect height for sitting at a table – removing the need for a high chair. Clever, hey?! The only downside about the tandem set up is that when the carrycot and toddler seat are in use at the same time, the carrycot sits in the basket. This means that there’s no storage space. However, there are thoughtful hooks on the handlebar to prevent your changing bag from sliding down, and I’ve purchased some little handlebar clips so that if I do need to pop an extra bag on there, then I can. 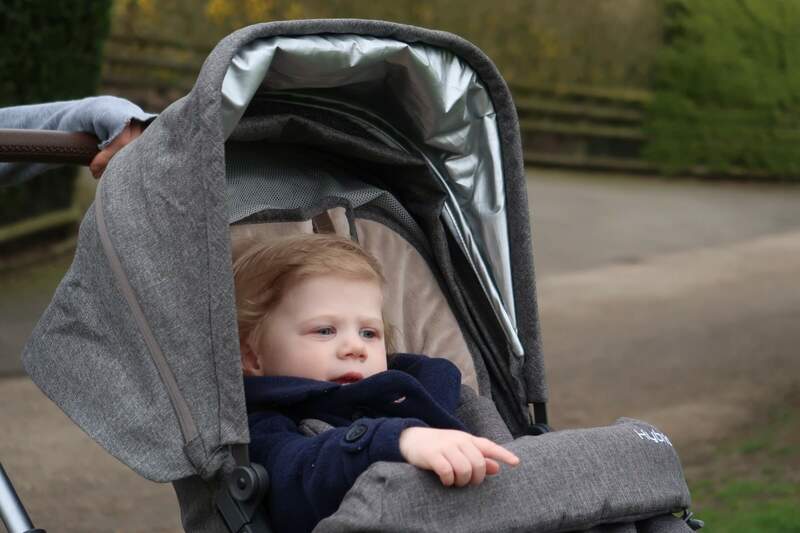 As with the toddler seat, the Hybrid Stroller carrycot has a huge adjustable hood and built-in sunshade. Both also come with an insect net and rain cover to protect the children in all weathers. 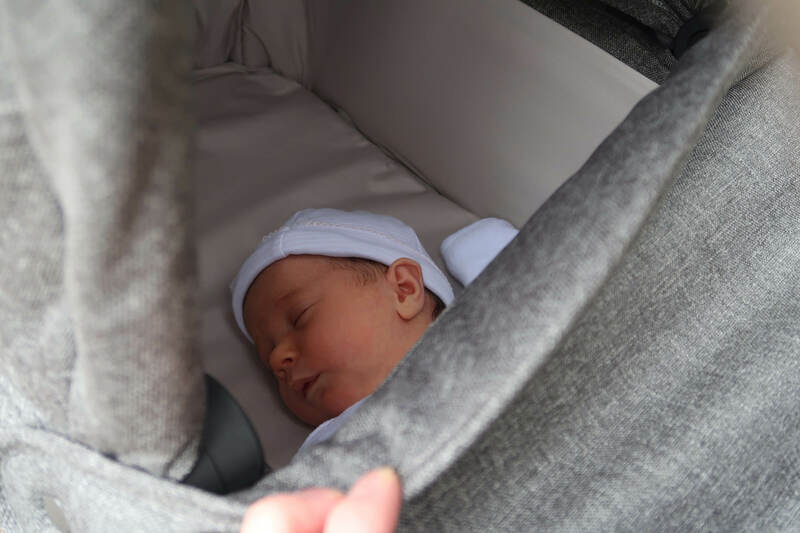 The mattress of the carrycot is wipeable, meaning that it’s easy to clean up any of the inevitable little messes that come with having a newborn! Its long length means that it should last even the longest of babies until six months, when it’s time to switch to a second seat. 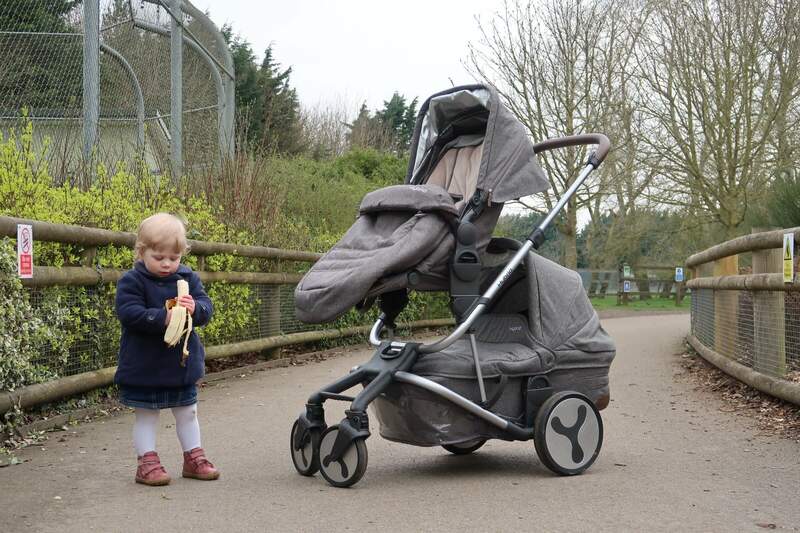 The Hybrid Tandem comes with two toddler seats, but the carrycot can be purchased as an optional extra for £149. As I’ve already mentioned, the Hybrid Tandem Stroller is great to push and steer. 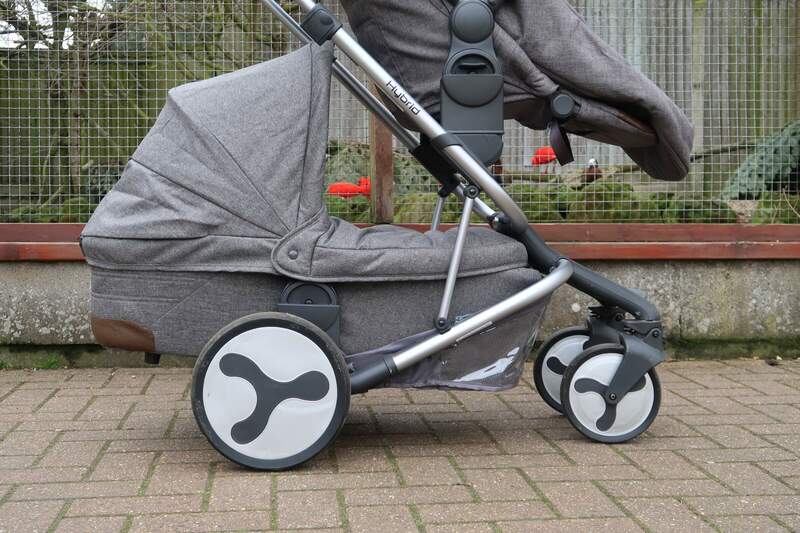 It’s lightweight too, which makes it nice and easy for getting up and down kerbs. The fold on the Hybrid Stroller is really easy too. It collapses easily and according to my husband, I make putting it up look effortless too (that’s because it is)! One small issue I’ve noticed is that the clip that holds the frame together when its collapsed doesn’t quite connect when the lower adaptors are on, so you can’t just grab it by the handle, you need to hold the whole frame to lift it into the car. A minor niggle which I don’t even notice anymore, as I’m used to lifting it so that it doesn’t come open. Another feature that makes the Hybrid Tandem Stroller easy to use is the car seat style five point harness. You simply fasten the buckle then pull the strap to tighten, making it probably the most easily-adjustable pram harness I’ve used. The harness shoulder pads slip around a bit but a small minor adjustment once the harness is at the right tension is all that’s needed. 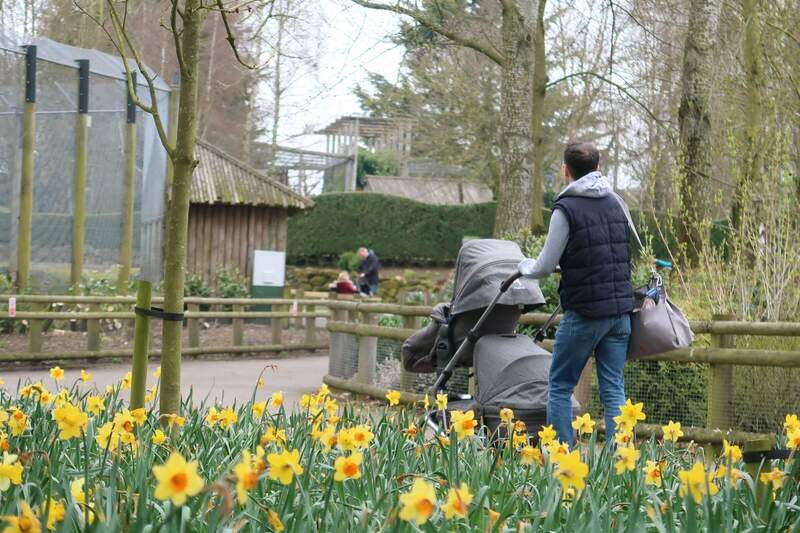 We love our Hybrid Stroller and it’s continued to be a great pushchair in tandem mode. The loss of basket when using the carrycot is a bit annoying, but this will be rectified in a few months time when the baby moves from the carrycot to the second seat unit. The fact that each of the tandem components (carrycot, toddler seat, height adaptors, tandem axle etc) can be purchased separately and at a later date from the Hybrid Edge Stroller, makes the Hybrid Stroller a really flexible option that can grow as your family does. Disclosure: I was sent the Hybrid Tandem Stroller free of charge for the purposes of this review. However, all opinions are my own. "Dotty Fish Shoes Review and Giveaway"
It’s so great to hear that it transforms easily between single and tandem mode. It does, it’s such a great pushchair system. Very clever!